Sam’ Liew, the new owner & Chef at Kampai Sushi has been a well-known Redding favorite for many years! You may have enjoyed his food at Tokyo Garden restaurant, Sakura, or when the Shinoses owned Kampai Sushi! Chef Sam had been hoping to open his own restaurant so when Kampai Sushi became available, it was a match made in heaven! Come in & experience his unique style of ‘Edible Art’ at Kampai Sushi off Lake Blvd. in Redding. 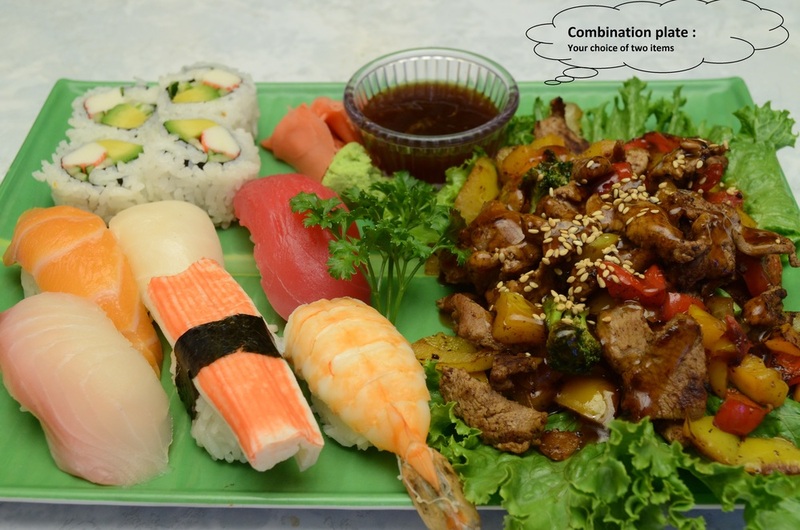 Have a look at some of Sam's colorful creations and his Signature Fusion Rolls. With over 200 menu items, Kampai Sushi has something for everyone. Whether it be Lunch, Dinner or a Romantic Evening. You'll enjoy Kampai Sushi. Redding Kampai Sushi features traditional and non-traditional Japanese food along with Asian Fusion Specials. Kampai’s menu has ample choices of Appetizers, Sushi, Sashimi, Soups, Noodles, Salads, Donburi, Cooked Meats, Tempura, Donburi, Hand Rolls (Temaki), and Specialty Rolls. The owner ‘Sam’ has developed a name for himself in the local community because of his adventurous ‘edible art’ and expertly made customized ‘Fusion Rolls’, many named after regular guest orders, such as the ‘Cindy Roll, Pierre Roll, May Roll, Allen Roll, and it keeps on going! Sam uses carefully selected ingredients of the highest quality to insure that your dining experience will be a delightful one. Kampai Sushi is a great place to meet with friends, have some Sake, eat your favorite foods and enjoy the casual inviting atmosphere in their new dining room. Come experience the best Sushi Bar and Japanese food Redding has to offer. We want you to have a great time and leave as a happy customer!